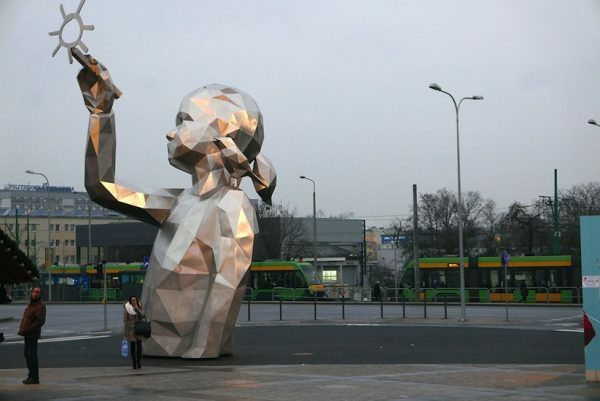 This huge sculpture, a young girl, drawing a sun into the sky, is situated in Poznan, Poland. 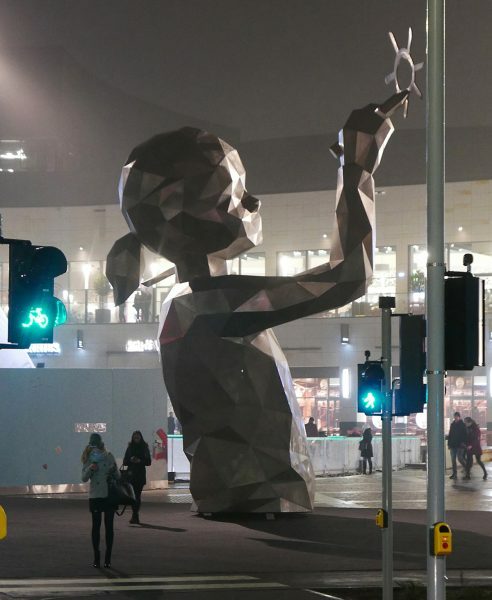 It is the newest work of Belgian artist David Mesguich and represents his 4-year old daughter Lucie. The artist, who combines fine art and street art since more than 15 years, wanted to create something positive that also children would understand, so he chose the image of his daughter with the message, that you can create your own world. 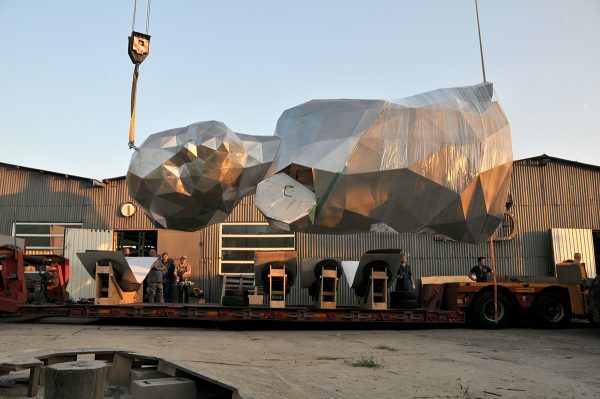 The geometric sculpture is 10 meters high and weighs nearly 4 tons. Veröffentlicht in Installations, Uncategorized, urban artGetaggt mit child, david mesguich, geometric, imagination, Poznan, sculptureBookmark the permalink.